Congratulations! You have finished your first parkrun. You are a little sweaty, tired, and itching to get a coffee. But now what? Will you be back for a second or third, maybe a fiftieth or one hundredth? Slow and Steady—The saying goes that Rome wasn’t built in a day and neither will you be. Take your journey at your own pace, and try to find that happy medium where you can carry on a conversation while you walk, jog or run and feel good about yourself at the end. Setting Goals—This doesn’t have to mean going from a 50 minute to a sub 20 minute 5k, but hey, I won’t stand in your way if that is what you want to do! Instead, you could try to aim for a few seconds faster each week. But remember, parkrun is whatever you want it to be, so there is no pressure. Be Social—Running can be a somewhat solitary sport, but it is good to have a helping hand along the way. The best thing about parkrun is the social, community element so the support of your fellow parkrunners can provide all the motivation you need, and give you a network of friends to share your journey with. Take these items with a grain of salt, use what you can and discard what you don’t like. Focus on finding things that will encourage and motivate you. 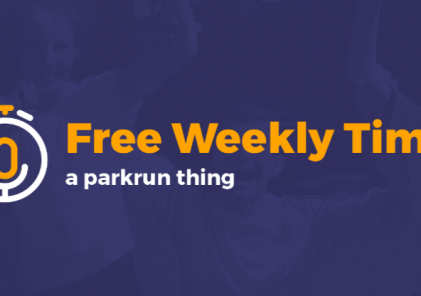 Happy parkrunning! Ahead of Whistler parkrun’s first event of the year after the winter break, we hear from Event Director Mel Whitely about her passion for parkrun. I started a new job recently and they asked us for our “passion” to place on our name badges, I guess as a talking point for clients and colleagues….